Confocal microscopy, mass spectrometry and DNA microarray analysis are just a few of the different types of services provided. Confocal microscopy, NGS data analysis, and DNA microarray analysis are just a few of the different types of services provided through three core laboratories supported by the INBRE program. 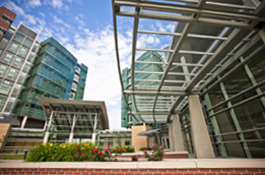 The University of Nebraska Medical Center and Creighton University Medical Center serve as hosts for these technologically advanced laboratories. INBRE provides salary support for technical personnel, major equipment purchases and operating supplies. It also helps make the services of the core laboratories available to all investigators throughout the state.